Does this come in a pair? As in, if I order 1 quantity, do I get a pair or do I only receive 1 end? BEST ANSWER: Hello, thank you for your question. Yes each unit comes in a pair with one receiver and one transmitter. You will receive a pair. It will come with one end for the sending device and one end for the receiving device. You get the pair. Send and Receive. I would like to use this to put my computer in my media center closet. The only thing is I have dual monitors and two cat 6 wires running from the media center to the wall where I want to put my computer screens. Can I use a gigabit switch on both ends to increase the cat6 ends i have? BEST ANSWER: This type of adapter does not use "Active" plugged in wires to a switch. It uses two cat5/or Cat6 cables to basically create one "Long Extended" HDMI cable. You would have to run (2) CAT5/6 cables to each adapter for each monitor. Or 4 Cable runs for your two monitor scenario. With only 2 cables you would only be able to extend 1 Monitor. No you can't. These are passive baluns. They do not convert HDMI to Ethernet. They are only "splitters" that break out the HDMI cable and "splits the signal to the copper CAT wires. Is running HDMI over CAT6 safe for in-wall runs? I notice there are CL3 rated HDMI cables listed that say "Safe for in-wall"
BEST ANSWER: You should use cable rated for in-wall use. 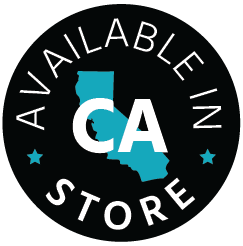 There are CAT6 cables rated to be run in-wall. yes it safe to install CAT6 in the wall for HDMI extender operation. Will it work with Cat 7 cables? Oh, and generally, should both cables be identical? BEST ANSWER: Thank you for your question. Yes it will work with Cat7 cables no problem. I would recommend keeping both cables identical to prevent any issues. As long as the 8P8C (RJ45S) connectors follow the B standard on both ends the cables should function the same as Cat6 or Cat5/Cat5e. However, be aware that the length limitations are inherent to the HDMI standard and not to the cabling. These are unpowered adapters and add no additional signal gain through the cable. I have one Cat 6 cable running between the TV and the cable box- do I need to have two (2)? Can this work with just one CAT6 plugged in? I've never tried just one, it calls for two so that's what I used. Does This adapter work connecting 1 TV o monitor? What do DDC and TMDS mean? Do I have to connect both? Do I have to connect both ports? What do DDC and TMDS mean? BEST ANSWER: One is send and one is receive. It takes two Cat5 cables to have enough bandwidth for HDTV. I have been very happy with my unit. Why the limitation at 98 ft? BEST ANSWER: It may be what it was tested at. I have a lot of these and am running them only about 40 feet and they aren't doing well. Sometimes they work and often they don't, and they don't pass HDCP so our faculty can't play movies from their laptops with them. I have removed them and put in a normal HDMI cable and that seems to be working for everyone. That is the maximun length, according to the company specs. Because, does not have a built in amplifier to boost the signal. How would i connect the cat six cable to send the signal from my cctv dvr to my television, i.e would i need to connect both cables crossed or just t568a or b? BEST ANSWER: Hello, and thank you for your question. For this device, it will require both Cat6 ports be used to transmit the HDMI signal. Each port will transmit a portion fo the HDMI signal, so both will be required to carry the full signal to the opposite end. Can I use a cat5 converter on this to run longer runs? BEST ANSWER: Should not be a problem, just be certain not to exceed the rated resistance for your cat5/6 conversation connection. Is there an HDMI extender that will support the 4K resolution on my TV? 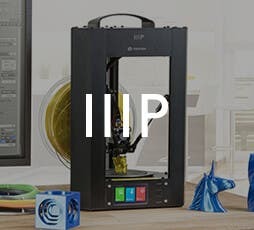 BEST ANSWER: At the moment, we do not have one in our inventory, but I will pass it to our product development team as a suggestion. Thank you! Are there or could there be any issues when connecting to a matrix? BEST ANSWER: Thank you for your question. 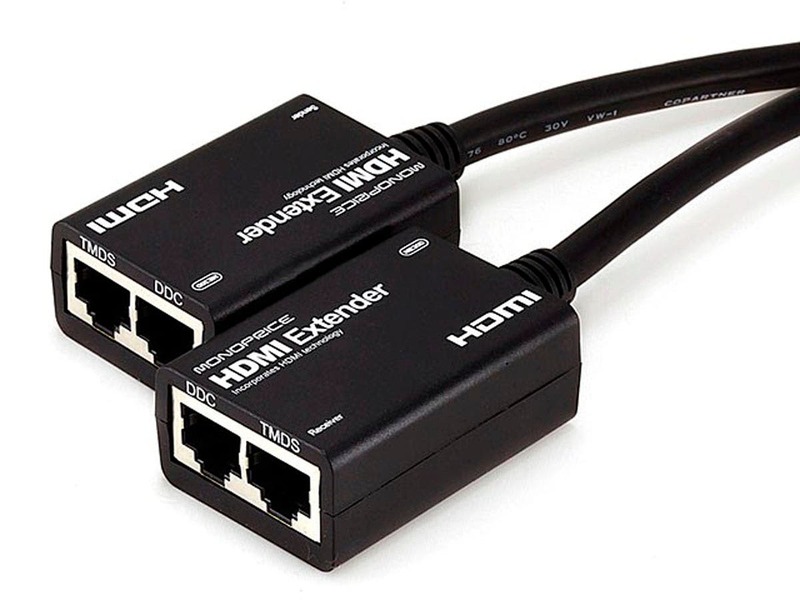 We would not recommend connecting a standalone HDMI extender to a Matrix, Switch, or splitter. Reason being is it will add resistance to the signal and has a high probability of not functioning properly or at all. We would recommend using a Matrix that will have a built in extender, such as PID 8151. Will this product work with a 100ft Cat6 24AWG UTP patch cable from Monoprice? BEST ANSWER: Thank you for your question. The extender would only support a signal up to 98 feet. This would be 98ft from HDMI end to HDMI end. 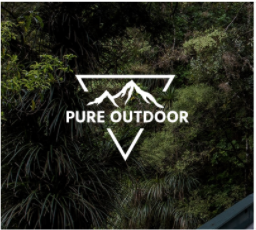 It may possibly work but you may experience signal issues if the run is longer than 98ft. I hope this helps. 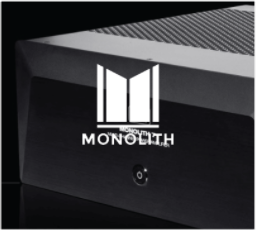 Will this work over a network switch? BEST ANSWER: No - this is extending over CAT5e. It is NOT an ethernet port. Hello the specs for this product call for Cat5e/6 UTP cable. Can i use Cat6 STP? BEST ANSWER: Thank you for your question. Yes, you would be able to use Cat6 STP no problem. I would actually recommend to use that over UTP cable. Just to ensure you have that added protection. 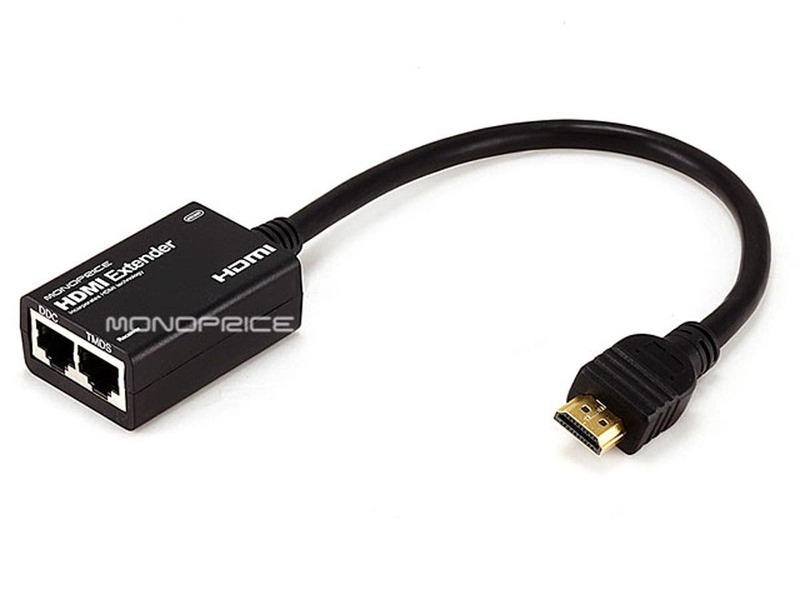 Will this work to extend the HDMI cable for a PS3 and PS4? My TV is wall mounted about 25 feet away from a game entertainment center that houses all my game consoles, etc. The TV I have now only has 1 HDMI input, so I'm trying to run all the HDMI devices through a switch (using either a 4 foot or 6 foot HDMI cable from the device to the switch), then the output over a 30 foot HDMI cable to the TV. However, when trying to use the PS3 or PS4, all I get on the TV is a black screen. I moved the game center over to the TV and switched out the 30 foot HDMI cable from the switch to the TV and used a 6 foot cable instead and the PS3 and PS4 works. So I'm guessing the 30 foot cable is too long for the PS3 and PS4 signal. I'm thinking of trying to us a 25 foot which is the shortest I can use and see if that'll work. Will this extender boost or allow the PS3 and PS4 signal to reach the TV from the switch? This extender is a bit old so it may have some issues with a PS4. I would go with something like #24181 or an active cable if you are going 30'. This extender is more recent and an active cable would have a chip inside of it that pulls extra power from your TV to get the signal to go farther. Scenario: I have my TV in the living room and will have a satellite receiver in the basement. There is no HDMI cable connecting the TV to the receiver, however there is an ethernet cable running from the TV area in the living room to the receiver area in the basement. Will this HDMI Extender work in this case? BEST ANSWER: Hello, thank you for your inquiry. 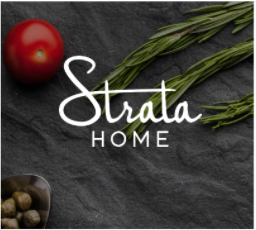 If there is only the one ethernet cable running from your living room to the basement, this product will unfortunately not work as it requires a total of two ethernet cables to send the signal. However, we do offer other units such as Product ID 14158 (attached) which will work over the single ethernet cable. Is this supposed to work for Macs? We bought a pair of these for a conference room but it doesn't seem to work with Macs via HDMI out. Seems to have handshaking issues b/c the Mac seems to detect something is attached and the display shows something gets connected but is unable to establish a stable connection. BEST ANSWER: Yes it does but I also had handshake problems so I dropped these and have to monoprice’s power boosting HDMI cables. They have one that goes to 100 ft. I bought two at 75 ft. For my Apple TV and projector theater room and split it off to two othe TVs in different rooms. They work flawlessly and picture quality is fantastic no more handshake issue. 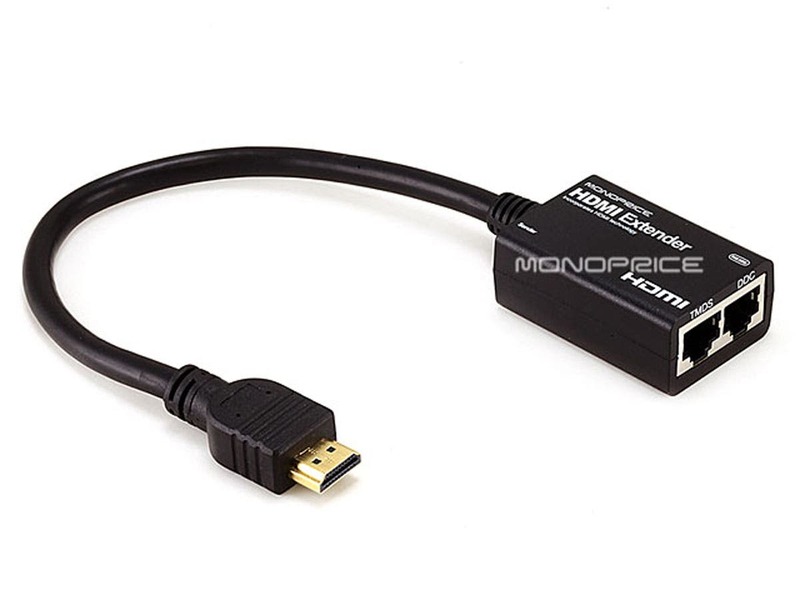 So if you’re under a hundred feet go monoprice’s boosting HDMI cable. Could I control the receiver with the remote from the source? Does this MST Hub support dual-mode? Can I use passive HDMI adapters after the hub? Also, can the outputs of the hub be adapted to HDMI, and then the HDMI signal extended using a Cat5e extender? Does this MST support dual-mode? Can passive HDMI adapters be used after the hub? Also, can the signal be converted to HDMI and then extended over Cat5e? 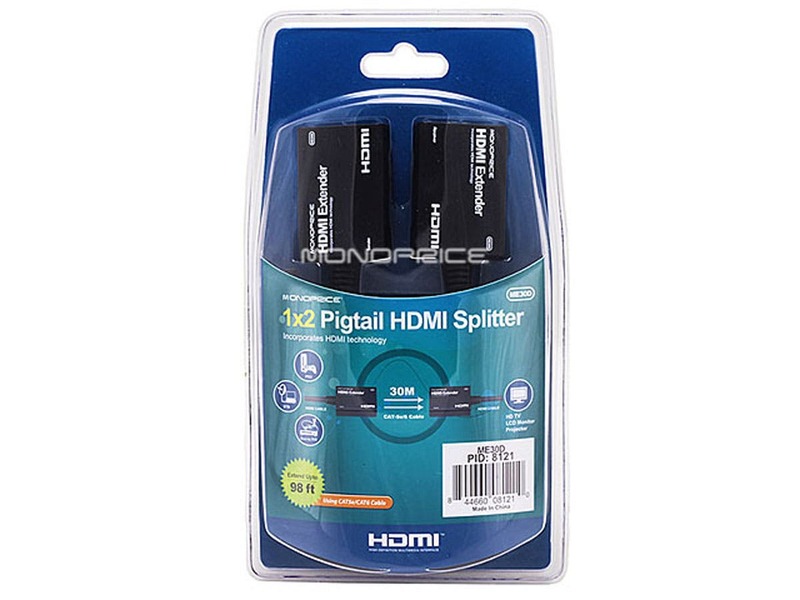 My goal is to split a Dsiplayport signal into 4 HDMI signals over a long distance. Does this extender support HDR? I'd like to play a couple PC games that support HDR onto my HDR TV. Hi there, I'm wondering if this will work to extend a Vr such as the rift? Can this extend HDMI ARC? Perfect! I can put my AV anywhere in my 40x40 room. Using 50' cat 6 cables this setup would allow an HDMI signal to correctly pass through about half of the time. The other half of the time would result in resolution mismatch between the signal being sent and what the TV thought it was receiving making for a lot of effort to get them happy. This could be just my setup. 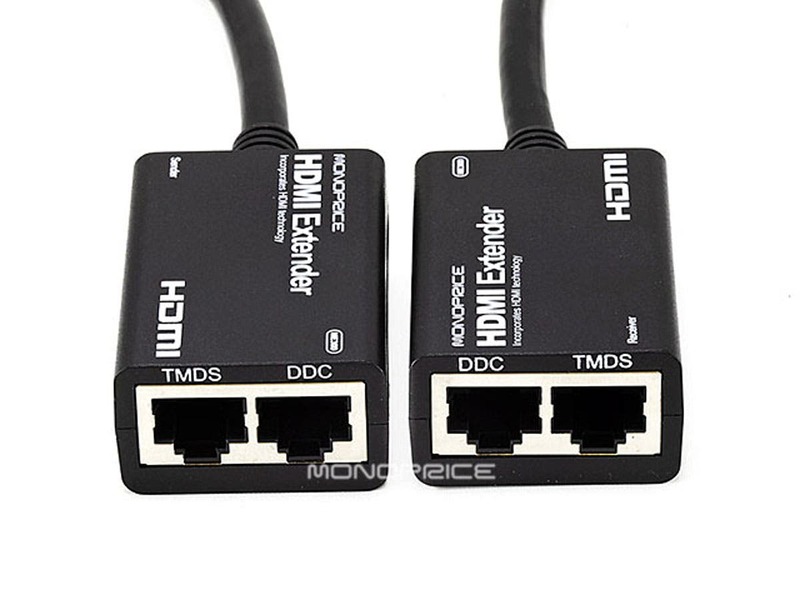 After researching options for snaking a HDMI connection through my wall around 20ft I contacted Monoprice tech and they steered me to this product. It was significantly less than other had recommended and works perfectly. Great HDMI extender works like a champ. For this project, I needed to split an HDMI signal to various TVs within 100’ of the source. I am used to HDMI extenders that are powered, use only 1 Cat5/6 cable and go about 150’. Due to limited power available at the TVs, and a significant cost savings per TV, I decided to give this a shot. This is a super simple install but does require two Cat5/6 cable runs per TV. The extender works like a champ. Oh, the package and instructions say it will go up-to 98’ but I used 100’ cables and it worked with no issues. Buy it, it works good and picture quality is good. Need 2 Cat5 cables. Worked just like it says on the description. Picture quality is good. I guess it made it easy for me because I am in the communications industry and had to make my own custom Cat5 cables. It requires 2 Cat5 cables. I would recommend this product to anyone wishing to exted an HDMI connection. I actually went longer than the recommend 98ft. I ordered two sets of these products, neither of which worked for a 50ft extension. I followed the directions during setup and tried a couple different cat 5 cables to ensure craftsmanship wasn't a factor.